Studio Dearborn is a boutique kitchen and bath design firm offering custom, hand crafted cabinetry with exquisite detail and functional custom storage solutions. Sarah Robertson established Studio Dearborn after 20+ years as a builder, real estate developer, and corporate management consultant. Sarah will guide your project from conceptual drawings to supervision of the final installation, making sure that your kitchen is uniquely designed to suit your home, your taste, your storage needs, and your lifestyle. For more information, you may visit our website at www.studiodearborn.com or email us at info@studiodearborn.com. Design interior and exterior finishes for luxury residential and commercial spaces. Bilotta Kitchens has been a leader in residential custom kitchen projects since 1985. Family-owned and operated by Jim, Maria and Regina Bilotta, the company is one of the most respected American firms, renowned for exquisite product, unrivaled service and superior craftsmanship. Bilotta boasts a team of award-winning designers unmatched for their talent, passion and innovation as reflected in the living spaces they create. Bilotta’s designs enhance their clients’ lifestyles, giving them enjoyment for many years to come. Bilotta's work is abundant in homes throughout the New York tri-state area and in places as far away as Bermuda and Spain. We specialize in providing homeowners world class products, along with a Seamless Design Process. Our staff will walk you through the entire kitchen or bathroom design process, from the planning stages all the way through completion. We will lay out your space, create a color palate, and find the best finishes and materials to fit your personal and unique vision. Come visit our showroom or schedule a consultation with a designer for more information. Thank you for your interest in East Hill Cabinetry! 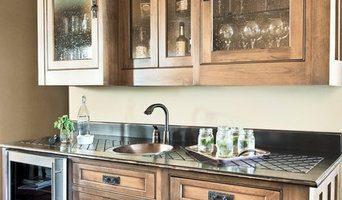 Westchester's Award Winning Kitchen Remodelers | 3x Best of Houzz! Pamela Smith is the principal Designer and owner of DesignSmith Interiors in Rye Brook, New York, founded in 2002. She frequently writes as Guest Editor and Contributor for interior design magazines, Westchester Home and Creative Home. Pam's love of languages and cultures has taken her to four continents for design inspirations. Originally from Atlanta, Georgia, Pam brings her polished southern wit and charm to every gathering, helping to create an atmosphere of artistic enthusiasm! DesignSmith Interiors provides a personalized & comprehensive plan to make your dream home a reality. New colors, new perspective, and an opportunity for change. We're here to help you realize that dream house, to see that vision you have through to concrete, absolutely fabulous reality! We'll take the helm and successfully navigate you through all those tough design decisions and endless choices of fabrics, furniture, wall coverings, paint finishes and colors. At your initial consultation appointment we'll evaluate your project, discuss it's challenges, fully explore your needs and desires, and establish your budget. At our next meeting we'll show you our proposal, iron out any pending concerns, settle on the color scheme and other major facets the room's design. Once we have your stamp of approval, we'll get to work! We offer professional personalized service, innovative design, and great attention to detail. We tailor our design work to the needs and budget of the client, and partner with all trades involved in the project. We have been providing these services since 1978. Visit our website to see more examples of our work. And contact us for an appointment so we can add you to our family of satisfied clients. Shannon Murray Petruzello, Principal and Designer, graduated from Michigan State University with a B.S. in Merchandising and Design Management. Shannon has over 15 years of experience in Design & Merchandising in the Fashion Industry. After 5 years of traveling to Europe and Asia designing Men’s apparel for Macy’s Department Stores, Shannon gained valuable insight and technical expertise with textiles. This is where she gained her love of fabric, pattern and color. This passion grew at Tommy Hilfiger, USA where she was Vice President of Merchandising for over 10 years where she had intensive input with the design of the garment, showroom design and color palettes. After a fulfilling career in the Fashion Industry, Shannon funneled this design energy into her true passion of Interior Design. Shannon bases her love of designing homes on the philosophy that a person’s home should be their sanctuary. SM Interiors was founded on this philosophy in February 2007 and she has turned homes into sanctuaries in Southwest Florida, Westchester County, Connecticut and New Jersey. Yorktown Woodworking's designers and craftsmen, with more than 60 years experience in architectural design and cabinetmaking, can create custom cabinets for every room in your home. The range of our expertise in design and woodworking extends throughout the home. Kitchens are just part of what we do. Rooms including libraries, dens, home offices, bedrooms and baths and wine rooms highlight more of our capabilities. Cabinetry and millwork projects also include entertainment units, wainscot paneling, coffered ceilings and fireplace mantels. We use a variety of domestic and exotic woods with finishes ranging from simple stains to more complicated hand-rub glazing. Our 1,000 square foot showroom serves homeowners, architects, designers and builders from both Westchester and Fairfield Counties. 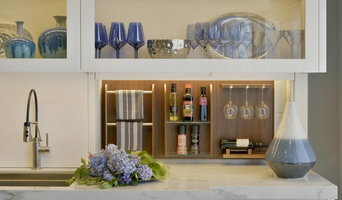 In our showroom you will find kitchen settings, mantels, bookcases and entertainment units. We also have a wealth of photo albums from which you can see samples of all our work. We are an award-winning New York City kitchen and bath design showroom founded by a third-generation kitchen specialist with over 20 years' experience. Our mission is simple--we are dedicated to providing our clients with personalized service and innovative design solutions using premiere products and up-to-the-minute technology. With our accessible, state-of-the-art showroom on the Westside of Manhattan, we are one of a select number of firms that offer a one-stop experience to clients in New York, Connecticut, and New Jersey. At JEM Woodworking, we use the highest quality materials and the finest workmanship to build the best cabinetry for our clients. We integrate old world craftsmanship with modern design tools to create full custom cabinetry of exceptional quality and value. The first generation at JEM was trained at two renowned furniture designers and manufacturers in the U.K., Smallbone and Christopher Peacock. The attributes of fine quality, elegant design and attention to detail that they honed there have been painstakingly preserved throughout our history. Now in our second generation, JEM’s stellar reputation continues to bring new clients from New York, Connecticut, New Jersey, and throughout the Eastern U.S. JEM president, Neil Schnelwar, is passionate about woodworking and is engaged in every aspect of the business, from sales to installation. His deep personal connection to the company ensures that JEM will continue to design, build, and install our custom cabinetry with the utmost care and attention to detail. Investing in custom cabinetry, and in your kitchen in particular, is one of the most important decisions you can make regarding your home. It is a formidable process, and if you have the right partner, it can also be exciting, creative, and enjoyable. Our unique size, experience and professional staff make us uniquely qualified to guide you through the process of creating and realizing your dreams. 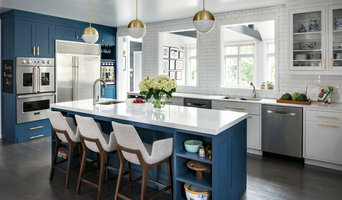 Certified Kitchen Designer/Interior Designer with extensive experience in designing and managing high-end kitchen/bath/interior design projects including project management,sourcing of all materials and finishes, installation, and follow through until project completion,custom cabinetry for any room. Clear understanding of design details and construction specifications. Award winning design services are part of the complete project management services offered. What does a Rye kitchen designer or bathroom designer do? A kitchen and bath design professional in Rye, NY knows to take all of these crucial points into consideration and can help plan the layout, materials and overall look and feel of either of these rooms in your home. Kitchen designers, as well as bathroom designers, are constantly staying on top of trends in the ever-changing industry. The designer also knows the best layout for your room, and can configure the layout for optimal functionality and utilization of the space. In the kitchen the refrigerator, stove and sink should be laid out in relation to one another, and it should be seamless and easy to move from one to the other. A Rye kitchen and bath designer will know how to work with a contractor and architect to plan the flow of the room to work best for your needs. Here are some related professionals and vendors to complement the work of kitchen & bath designers: Kitchen & Bath Fixtures, Appliances, Tile, Stone & Countertops, Cabinets & Cabinetry, Woodworkers & Carpenters. Before you talk to bath and kitchen designers in Rye, NY, consider how you will use the room. For your bathroom, is it necessary to have a bathtub for bathing kids or pets, or would a shower suffice? Perhaps all you need is a half bath for downstairs or a smaller guest bath for occasional use. Similarly, for kitchen renovations consider your cooking habits. Do you eat out every night but need a space to entertain in? If so, a smaller kitchen might be fine for you, with a space devoted to wine storage or a bar, whereas others might prefer a bigger stove or extra cabinets. When interviewing Rye kitchen and bath designers, make sure to share these habits so they can best fit the room to suit your needs. Find a Rye kitchen designer or bathroom designer on Houzz. Narrow your search in the Professionals section of the website to Rye, NY kitchen and bath designers. You can also look through photos in Rye, NY to find a kitchen or bathroom you like, then contact the professional who designed it.